Is it true that old love never dies, that hearts can mend, that a secret revealed can change everything? 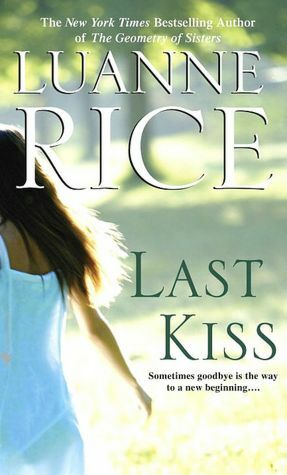 New York Times bestselling author Luanne Rice spins a mesmerizing tale readers will long remember–the powerful story of a close-knit community grappling with a dark mystery, and of a woman reclaiming a love she believed lost a lifetime ago. For nearly a year after the tragedy that claimed her teenage son, Charlie, Sheridan Rosslare has lived a quiet life on Hubbard’s Point, tucked away in the beach house where they spent their happiest days. But Charlie’s girlfriend, Nell Kilvert, is determined to find out what really happened on the night none of them will ever forget. She summons the one man she believes can uncover the truth–Gavin Dawson, who long ago thought he would always be at Sheridan’s side. Now his boat sits anchored within sight of the window of the woman he once loved–and still loves. Both of them had believed in the power of love and forgiveness, connection and reconnection, to work magic. They thought they’d lost that faith forever. Can they find it one last time?